A Clue? Tee Design Review. The A Clue? 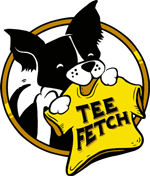 tee design that is morbidly funny and clever. 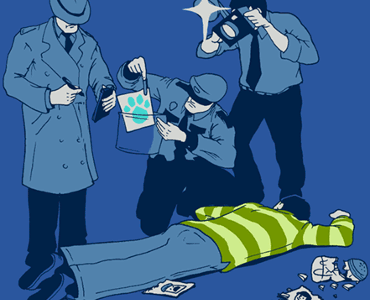 It pokes fun at the television show Blue's Clues hinting that Blue a mystery solving dog is behind the crime of the made up murder of the shows human host Steve. Why is it even a question? "A Clue?" of course that is what a clue looks like. Haven't they seen the show? Stupid investigators. Nice job rglee128, you managed to make some people laugh while destroying some childhood cherished memories of others. That is a feat worthy of the t-shirt Hall of Fame. The Simple cartoon art that makes for a great parody. Makes a great tee to wear on a game night or to wear as a conversation starter at a bar or party. The A Clue? design is on children's apparel too. Which is possibly traumatizing to children considering that it is one of their beloved television show characters that are represented here. A Clue Tee Design by rglee129.